The mattress features a tufted damask cover and quilted border. 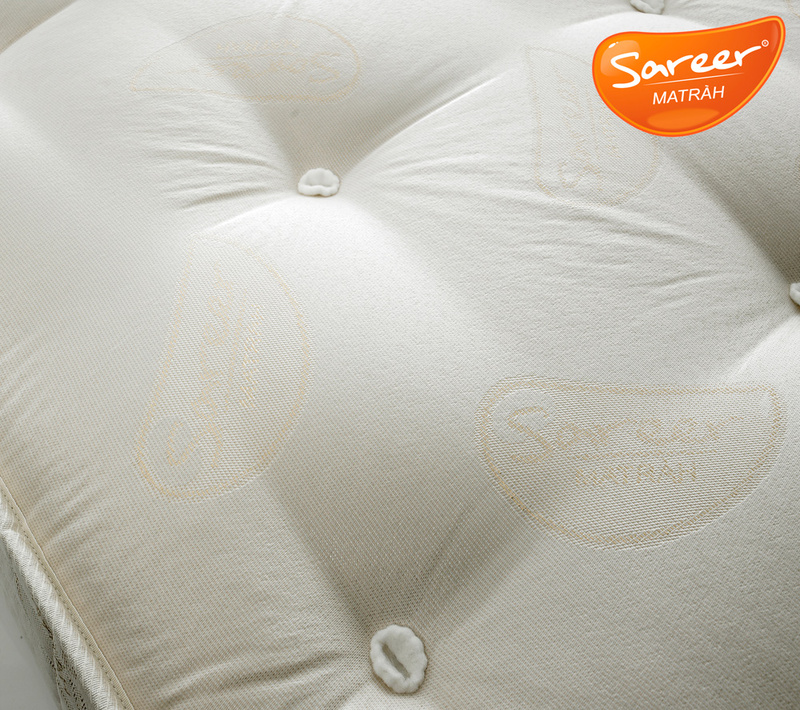 Solving the problem of overheating during the night, in addition to the individual pocket springs Sareer's Pocket Sprung Matrah oﬀers a good level of support as the individual pocket springs react to your weight, as well as your movements during the night. 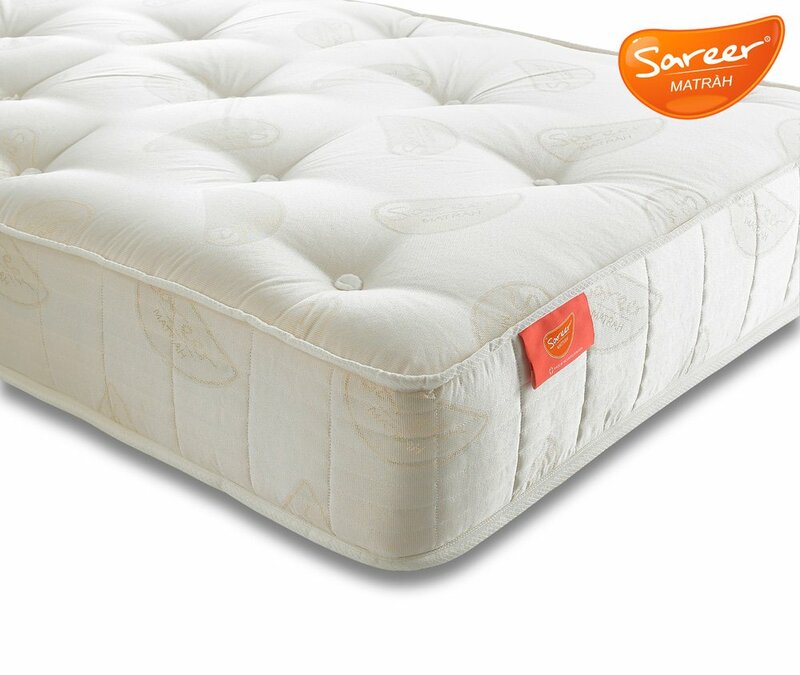 The pocket sprung core features individual springs each encapsulated in a fabric pocket, providing a comfortable feel for the mattress. 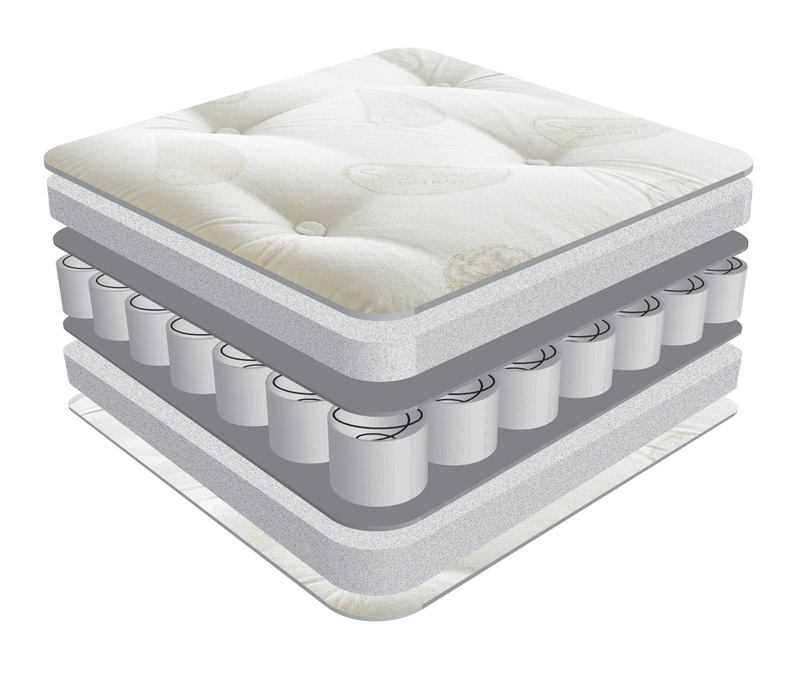 Unlike interconnected coil mattresses, pocket springs work independently of each other and the ﬂexibility in the pocket springs allows the mattress to respond to the shape, weight, size, movement and sleeping patterns of your body.